It seems that in aviation there are some who think finances are scary (read as job threatening) and those who think finances are just simply boring. Both groups try their best to avoid the subject. There is a middle way, those whose knowledge of finances gives them a powerful and convincing tool for making the right aircraft decision! To do a proper financial analysis, you will need the initial investment required, the variable and fixed costs of operation, and the estimated residual value of the aircraft at the end of the term. Taxes and revenue potential can also play an important part in the analysis. The objective of a financial analysis is to determine which of the qualified aircraft provides the optimum combination of these elements. Amount of utilization. For point to point travel, do this in miles (or kilometers). Trips from Point A to Point B have a set distance. Add up those trips' distances. Then divide by the aircrafts' typical trip speeds to arrive at the utilization in hours. 160,000 nautical miles is 400 hours at 400 knots or 500 hours at 320 knots. This will have an impact on the fleet size as well. A large amount of utilization (in miles) can spell three slower aircraft or two faster ones. Type of ownership. Full ownership, co-ownership, fractional ownership. Maybe not even owning at all. Utilization under 200 hours per year can suggest a form of charter or perhaps fractional ownership. Between 200 to 300 hours, fractional ownership and full ownership should be considered. Over 300 hours tends to favor full ownership. There may be extenuating circumstances to consider as well. New versus used. Do the lower maintenance costs, added tax depreciation benefits, and the ability to specify the exact configuration of the new aircraft outweigh the used aircraft's lower acquisition cost? There may be other considerations favoring the new aircraft such as updated avionics. Lease or Purchase? A lease typically has a very low initial payment, and depending on the type of lease, may not be considered "long term debt" on the corporation's balance sheet. Purchase includes both finance and full payment up front. With a purchase, you do have ownership and after the payment(s), have an asset with a definite value. Trade-in Value. If you currently own an aircraft, you need to get an idea of its current worth in the market. Price guides such as the Aircraft Bluebook Price Digest, Vref , and The Official Helicopter Bluebook offer a good starting point for determining the value of an aircraft. Nothing beats an appraisal by a qualified appraiser. The National Aircraft Appraisers Association is one place to start. An appraiser will give you the real-world value in today's market that will aid you in negotiations with buyers. Acquisition Price. For used aircraft, see the references above. You can also look at aircraft-for-sale web sites to see what the "asking" prices are. Keep in mind that there can be a considerable margin between asking and final selling price. An appraiser can also give you some information on used aircraft prices as well. For new, start with the manufacturer's list price. In today's market, most sellers are willing to make a deal, so don't count out a new model that is "just a little bit" outside of the target acquisition price. Length of ownership. When you analyze each aircraft, use an equal length of ownership. Looking at cash flows and costs over different lengths of time can give you a distorted picture. This is very important when considering the time value of money. When income or expenses occur can be as important as how much. The methodology to do all the calculations is called Life Cycle Costing. The Life Cycle Costing includes acquisition, operating costs, depreciation, and the cost of capital. Amortization, interest, depreciation, and taxes also play a part in what it costs to own and operate an aircraft and can be included in the Life Cycle Costing as appropriate. Once you have calculated the life cycle costs of the various options, you can compare the total costs. However, this may not be enough. 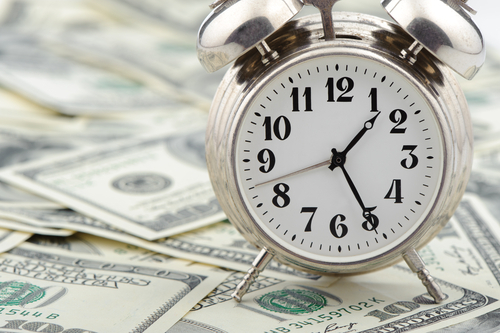 While the magnitude of expenses and revenues is critical, their timing is important, too. In general, it is preferred to pay the bills as far into the future as we can without penalty. The next step is to use the concept of the time value of money. We all can agree that being paid today and paying our bills next week is the preferred way to manage our finances. This is the simple version of the time value of money. Next month, we will explain it in detail and complete the financial analysis. To continue our review of the components of a successful Aircraft Acquisition Plan, I will be discussing the technical analysis. The technical analysis is as varied as the types of missions. They keys are to adequately define the key missions and evaluation parameters. Use those to develop the objective criteria to judge candidate aircraft. I just finished a fleet plan for a client. Before starting the report, the Chief Pilot was sure that the best aircraft for their mission was the "BelchFire Warp 2K." But to placate the boss, the Chief Pilot hired us to do an analysis. As it turned out, their preferred aircraft was number three on the list of best alternatives. The other two had similar speed and range capabilities and offered the bigger cabin the boss was looking for. While in many instances, your initial instinct is correct, the technical analysis can reveal other alternatives, some of which may be better suited for your mission than the initial pick. The focus of the technical analysis is on size, features, range, and performance. The acquisition cost, cost of operation, and other financial and ownership matters are for a second analysis. * Compare those requirements against the capabilities of a range of aircraft from the sources of information you have gathered. How many aircraft should you end up with the do a detailed analysis? An absolute minimum would be two aircraft but three to nine aircraft is the preferred goal. If you end up with only one aircraft to analyze, go back and review your key missions. It is rare than there would be only one aircraft that can perform your mission. If that is the case, it is likely that the aircraft seller may know that and thus, you will have little room to negotiate on price. More than nine aircraft and your analysis gets unwieldy - better to go back and come up with some more restrictive requirements. * Weight buildup. This includes passenger payload, baggage capacity and even weight and balance considerations. Also include baggage size considerations. Four sets of skis may not weigh much, but will require a longer baggage compartment than will four overnight bags. Four fully-equipped SWAT Team members will weight a lot more than four medical personnel. Remember the mission drives your requirements. * Range and reserves. Given your weight for the key mission, can the aircraft fly the required trip? Make sure the fuel reserve calculation is correct for your mission. Run specific scenarios to make sure the aircraft will perform as required. Do you need to lift two med-evac patients from a high altitude location on a hot day? What about navigation requirements such as FAMS-1, ADS-B, minimum engine inoperative altitudes if operating over mountains, etc. can be important considerations. * Airport restrictions. Do you fly into a short runway? Narrow taxiway? What is the weight limitation on your parking ramp? Where you operate will define things such as runway requirements, climb and obstacle clearance criteria, etc. * Have a hangar with a twelve foot opening? Don't find out that your new aircraft is 12 feet 2 inches tall after the sale is completed! * Features and Equipment. This can be a short list or an extensive one. It can include things such as auxiliary power for ground and air use, a private lavatory, single point refueling capability, crew rest areas, a separate cargo door, and required ground support equipment. WiFi here in the US is a different requirement than WiFi with global capability. Again, the key mission defines the parameters. * Reliability and Support. This can be hard to quantify as very little quantitative data exists. A good source of this type of information is to talk to other operators of the type of equipment that you are evaluating. In addition, magazines conduct and publish product support surveys. Locations of factory approved service centers can be important, as can spares support. If the manufacturer is still producing the same or similar aircraft that you are evaluating, support could be better than trying to find qualified support for old, out of production models for which there is no major spares supplier. These are some of the major items. Your evaluation parameters may likely include others. Once you have performed the analysis, it is time to rank order the aircraft. Determine how many criteria each aircraft meets, did not meet, or exceeded. The minimum Key Mission criteria is mandatory - failure to meet them will result in the aircraft being removed from consideration. Other criteria should be rated as desired in that it will enhance mission effectiveness or add extra capability. Not meeting desired criteria can still result in a mission capable aircraft. See which aircraft, having met all the required criteria, also meet some or all of the desired criteria. Adding the deficiencies and excesses can result in a numerical score. You may add your own multiplier to favor one criterion over another. If no aircraft meets the required criteria, what do you do? Go back to your key mission and carefully evaluate each of the evaluation parameters and how, if changed or removed, would affect the key mission. In other words, find out what you can live without. There still may be an occurrence where no one make/model will adequately perform your missions. In that case, maybe acquiring one aircraft to do 90% of the missions and chartering an aircraft to perform the remaining 10% may be the solution. I had one client with a lot of trips with four to six passengers of 150 NM and under. The next requirement was for three to four passengers to fly 2,000 NM. In their case, a turboprops served the short trips quite well and since the longer trips were infrequent, a fractional share was a good alternative for those trips. The technical analysis is as varied as the types of missions. The keys are to adequately define the key missions and evaluation parameters. Use those to develop the objective criteria to judge candidate aircraft. It is better to explain to the boss why his favorite pick (1) can't perform the mission and to offer alternatives than to acquire a less than desirable aircraft and find that out after the fact. Note (1): Yes, I’ve seen a thorough analysis identify a best-fit aircraft only to have the decision maker get a different, less capable aircraft because of personal reasons. My job is to provide the factual data to allow for a fully informed decision.